One of the dreams I've been chasing in my garden over the last few years is to have year round salads without any effort at all. I'm quite a fan of a fresh green salad, but as a busy mum of two busy young kids, I struggle to keep a good succession of lettuce growing. Either the slugs get them, they go to seed before I find time to harvest them or I just don't find the time to get enough batches growing from seed to keep a regular supply going in the veg beds. So one of the goals of going perennial in the vegetable garden has been to sort this out. Latin names for all the plants listed are given at the end. Having said I've been searching for year round perennial salad plants, two of my key players are actually annuals. 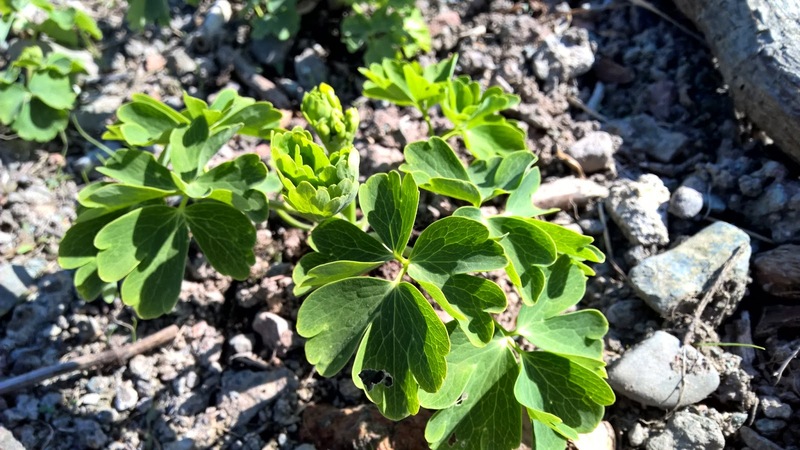 Both of these plants self seed abundantly and between them, provide excellent supplies of lovely, mild tasting salad leaves year round. For the autumn through winter, until early spring, I have Lamb's Lettuce. 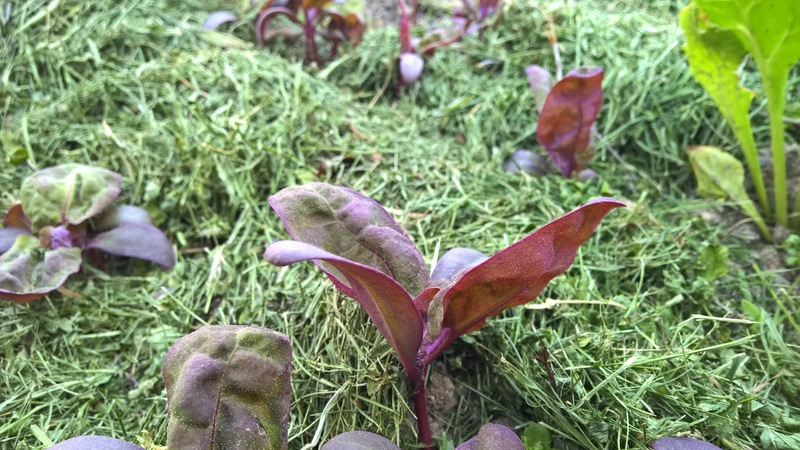 And for the late spring, right through summer and to the early autumn, Mountain Spinach. 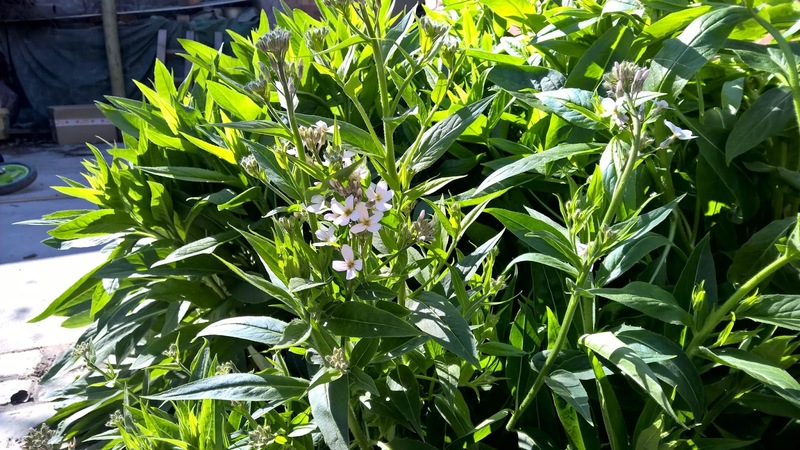 Right at the end of winter, my perennial rocket springs into life after its short winter sleep, so these plants give rocket leaves nearly all year round. 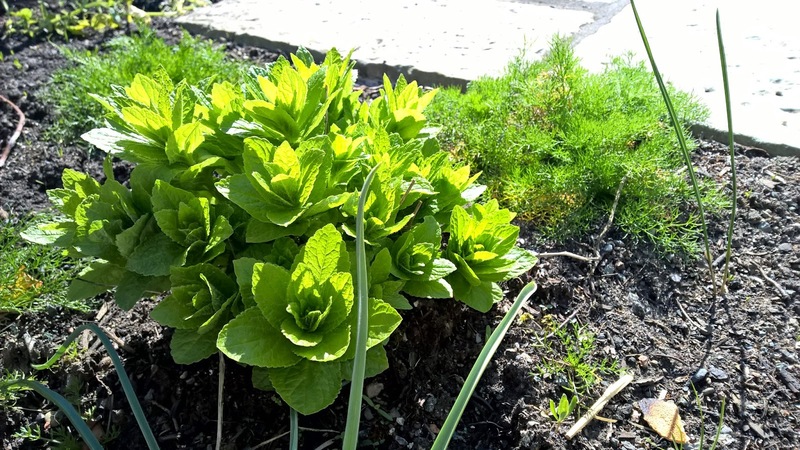 After their first year, the plants reach a fantastic size, providing plenty of salad leaves for us from just one plant. Here is one of my plants, with just its early spring growth showing. By mid summer, this will be a sizeable bush. 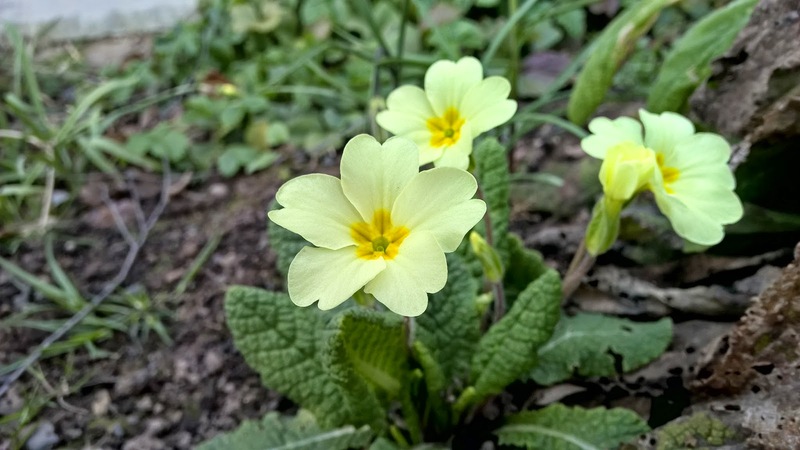 Primrose flowers, a lovely spring native, are another mild tasting and very pretty salad ingredient to brighten up those last wintry days in early spring. 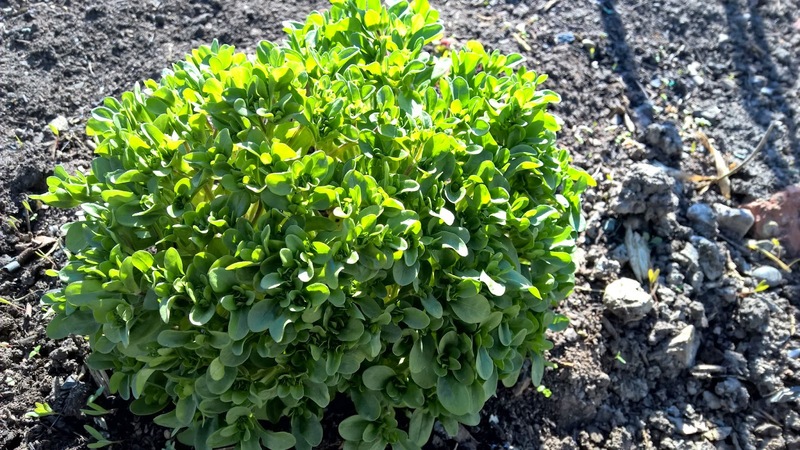 Milky Bellflower sends up its leaves around April time and these can also be added to spring salads. The tall spires of large, bell shaped flowers that come later can make a pretty addition to summer salads, as well as looking great in the flower garden. Sweet rocket (below) is used in the same way. This is a traditional cottage garden plant, which usually comes with heads of pink flowers, but here I have a white flowering variety. Other edible flowers self seed around the place - we find plenty of calendula, the delicious nasturtiums and lovely, delicate tasting borage cropping up all over the the garden. I usually transplant them to a useful spot and weed the rest out. And if that's not enough, I have various soft herbs that I often add for a little extra flavour. 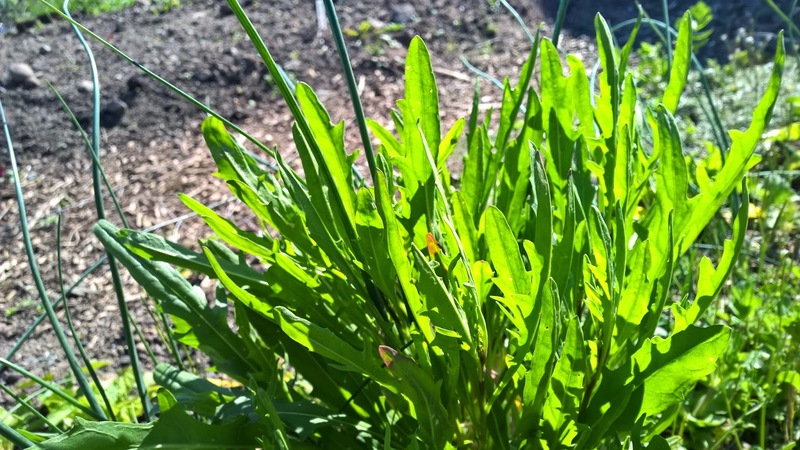 Two favourites are garlic chives for year round garlic flavour and sorrel, for a constant supply of zesty lemon tang.